Danish jurist; born in Copenhagen Dec. 26, 1814; died there June 21, 1886. 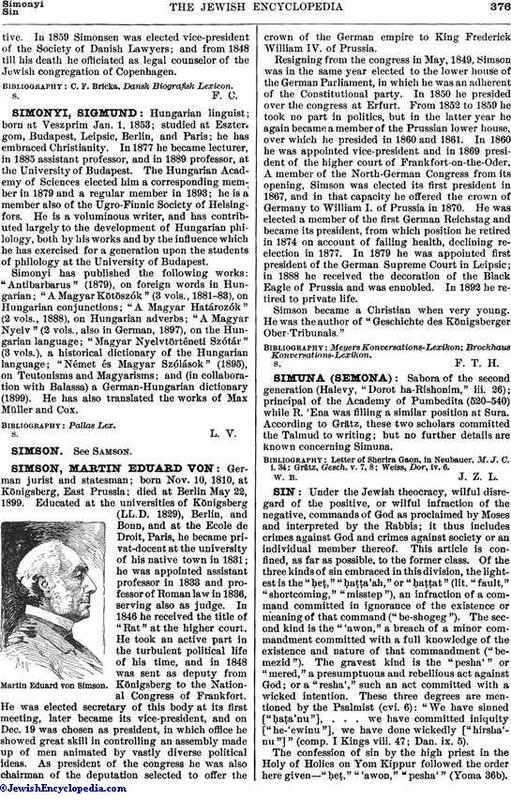 He was graduated from the University of Copenhagen (Candidatus Juris) in 1837, and in 1851 was admitted to the bar of the superior court. 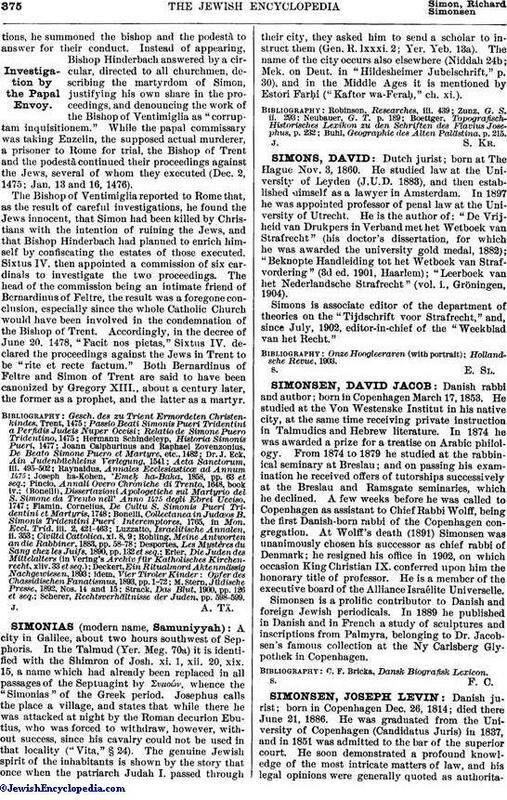 He soon demonstrated a profound knowledge of the most intricate matters of law, and his legal opinions were generally quoted as authoritative.In 1859 Simonsen was elected vice-president of the Society of Danish Lawyers; and from 1848 till his death he officiated as legal counselor of the Jewish congregation of Copenhagen.